Philippe Barrière has engaged in a wide range of activities in the professional, non-profit and academic realm; on national and international levels; and as an architect, architecture critic, urban planner, associate professor and architecture historian. Philippe received his degree in architecture from the Ecole des Beaux-Arts in Paris. He was granted a scholarship to study at two American graduate programs, at Cranbrook Academy of Art and Cornell University. He received a Master of Sciences in Urban Planning from the Institut d’Urbanisme de Paris, followed by a Master and a Doctorate in Art History at the University Panthéon Sorbonne (Paris). He was engaged in projects in the USA as well as France, Venezuela, the French West Indies, the Middle East (Saudi Arabia, Dubai), Palestinian Territories (West Bank), Kenya, England, Canada, Marocco and Tunisia. He completed his Master’s Degree in architecture at Pratt Institute in New York, where he worked in offices and later started his own design practice. His writings have been widely published in l’Architecture d’Aujourd’hui, Archi-Cree and other publications; his work and the work of his students have been widely exhibited and published worldwide. He has taught at the New York Institute of Technology, Parsons School of Design, the University of Texas at Arlington, l’Université de Montréal, Drury University, the University of Kansas, l’Ecole Spéciale d’Architecture de Paris, l’Ecole d’ Architecture de Université Laval de Québec and l’Université Ibn Khaldoun de Tunis. Philippe was made a Knight of the Order of Arts and Literature (Chevalier dans l’Ordre des Arts et des Lettres), an honor bestowed on him by the French Ministry of Culture for his contribution and achievements as an architect in the field of architecture. USA: Hoang Dang, Line Braley, Adam Morehead, Adam Felchner, Adam Kruvand, Gregory Cuddihee, Eddie Chiu-Fai Can, Stanley Lau, Yoon Soon, Dawood Al-Qattan, Jeremy , Christian Kerrigan, Courtney Allan, Sean Mongey, Patrick Baustian, Patrick Smithson, Keith van Reit, Nathan Freise, Carl Kessler, Clarisa Diaz, Steve Bagwell, Dan Brown, Bryan Ness, Matthew R. Pauly, Liz Kelsey, Will Schenck, Park Barker, Devon Norton, Kai Sun Luk, Justin Kreikemeier, Ashlen William, Hoi Wang Chan, Lai Kuong Hou. CANADA: François Riverin, Julien Cordier, Thibault Maugard, Amandine Isordi, Paul Durand, Alexandre Guilbault, Olivier Jacques, David Giraldeau, Georges Abou-Atmé, Julien Beauchamp Roy, Marjorie Bradley Vidal, Sergio Castano, Jessica Daoust, Charles Gretas, Guillaume Laurin, Christelle Montreuil Jean-Pois, Pascale Pierre (ing. ), Yoann Plourde, Samuel Pouliot, Hugues St.-Hilaire, Ottavy Thibault, Jonathan Lajchter, Catherine Bouchard, Alexandre Hamlyn, Emmanuelle Cardu Gobeille, Magdeleine Audrerie, David D.Boisseau, Christophe lafleur-chartier, Vicky Tessier, Camille Vallette Viallard. FRANCE: Lequeux (Associate), Nicolas Wojcik, Jonathan Lajchter, Sébastien Lequeux, Manon Dantan. TUNISIA: Asma Haddouk, Samir Issad, Kaouther Moussa, Bahroun Khaoula, Amine Torchani, Ibrahim Tameur Abbassi, Adnen Ben Tanfous, Mahmoud Abassi, Abderrahmen Ezzine, AzzaMezghani, Aboudou Azize Olawolé Marcos, Tania Paula Garza, Lucie Riedweg, Yosri Boukadida, Wael Ben Mansour. In the face of environmental crisis and globalization architecture is becoming indispensable as an instrument to reconcile man with his (cultural, social and environmental) milieu, by either re-investing in this milieu to mitigate the structural deficiencies and/or by fostering its recovery. Taking this view, architecture is an ongoing experiment that constantly adjusts to contextual needs, implementing the new strategic and innovative interventions necessary to improve on man’s milieu; a process that redefines architecture. This approach provokes architecture to become a threshold over which or, a ‘channel’ through which to renegotiate the relation between man and nature and a ‘focal point’ for reducing the imbalance between extremes (social and environmental). Architecture becomes second nature, man’s link between human nature, environment and society guaranteeing equilibrium and integrity even in the midst of the crises that transformed them. Teherefore what drives our specific approach to designing projects are some of the unanswered questions being posed in their environment. These questions force us to better understand our hopes and the need for change, both which must guarantee progress and emancipation. Each project aims to contribute to defining this hope and to avoiding potential constraints by answering them. The process creates architecture which is built on concepts that are based on the beneficial effects they will have on the built environment. Instead of being part of a problem it represents a part of a solution. For the critic Joan Ockman the Collective work “ takes on the contradictions of today without being so naïve as to try to surmount them, and without being so cynical as to merely parody them. The work acknowledges that we are what we consume, and it takes responsibility for this. …The name for such an approach to architecture is radical realism. Philippe Barrière is its magician and surgeon.” – 30 Nov 2010 – Repositioning and the Relation Between Man and Nature. Challenging both theory and practice, the Collective has developed a forward-thinking expertise addressing suburbanization (i.e. ParkUrbia), the Interstate Highway System (i.e. Infrastructure Architecture), social and humanitarian issues such as homelessness, refugee camps and health crises. More recently it has developed the concept of Hybrid Architecture (i.e High-Low Tech) in the Maghreb. The Collective integrates highly competent specialists and manufacturers early in the design process to develop simple, efficient, practical and highly sophisticated cutting edge solutions. It has developed a long time working relation with the renown engineering and fabrication company like A. Zahner co. and called out aerospace technology manufacture specialists (Beechcraft, Cessna, Boeing) for innovative technical solutions. State president advisers, international institutions (UNWRA, CTC.. etc), private foundations , NGO, local communities, social entrepreners and private and corporate clients have trusted the collective to provide them with unique solutions ( see projects list below). The work of the Collective has been widely exhibited and published worldwide in magazines and websites and exhibitions (see publication and exhibition list below). – In 1996 the Studio move to various locations in North America to become Philippe Barriere Collective (PB+Co). 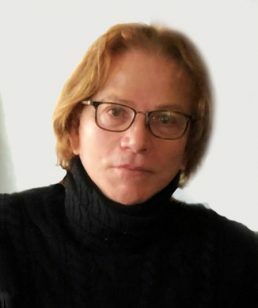 The Collective has always benefited from the academic research Philippe Barriere developed in various Universities (see biography). – In 2015 the Collective started officially a new branch with a registration in Tunis with Adnen Ben Tanfous as An Associate Partner, where it was already working since 2012. The Collective has worked on projects in the USA as well as France, Dubai, Palestinian Territories (West Bank), Kenya, Haiti, England, Canada, Crete, Marocco and Tunisia. The truly beautiful projects are singular augmentations of the landscape, as found and as built. Each adds not simply an architectural supplement but some social enlargement that changes our view of place. Philippe Barriere strides with gentle, elegant, resolution across the field of life, punctuating the environment with moments of brilliant and mysterious precision. – Michael Sorkin, Architect, Contributing Editor for Architectural Record, I.D., and Metropolis. This lack of idealism is a symptom of the historical disenchantment with modern architecture’s grand utopian ambitions, almost universally acknowledged by the 1960s as a delusion. The work presented in this book is visionary, in particular by seeming as if based in reality, and vice versa. It takes on the contradictions of today without being so naïve as to try to surmount them, and without being so cynical as to merely parody them. The work acknowledges that we are what we consume, and it takes responsibility for this. A given: a hardscape of asphalt parking lots, antediluvian industrial buildings, space-devouring superhighways. What now? A given: inhospitable swamplands, poisonous brownfields. A given: people displaced from their homes, uprooted, with no shelter. What now? These are terrifying problems, truly haunting problems that will not disappear, even with all the digital prestidigitation in the world. These problems crave resolutions that show intense imagination and allow for delicate healing. The name for such an approach to architecture is radical realism. Philippe Barrière is its magician and surgeon. – Joan Ockman, historian, critic, educator, former director of the Buell Center for the Study of ‘radical’ American Architecture at Columbia University. The architecture of Philippe Barriere magically attaches itself to the commonplace: confronting, enlarging and transforming our understanding of the world and ultimately ourselves. – William Menking, Executive editor, the Architects’ Newspaper. His intellectual and theoretical solutions meet urgent social and human needs and his designs are highly unique and transformational. Philippe has one of the most brilliant intellectual minds I have ever encountered …. . He considers architecture a tool for social, cultural and environmental change. In-depth research and a profound thought process are at the basis of all his work. This results in an exceptional intellectual content and underpins his outstanding accomplishments in architecture. – Peter Pran, Design Partner, FAIA, MNAL at Peter Pran + H Architects LLC. The projects are lead and brought to a successful conclusion with rigor, precision and intelligence, from the analysis of the conditions of the subject up to the detailed resolution of the project and the elaboration of its graphic representation and aesthetic. This process is impressive. – Odile Decq, Studio Odile Decq, Former Director École Spéciale d’Architecture de Paris. UIK International Workshop From Djerba to Tataouine, (Djerba, Tunisia); July 24th 2016. Hybrid Architecture Presentation in Djerba. Trainning Research: From traditionnal building to parametric dome construction, UIK, (Tunis, Tunisia); June 1rst – August 15th 2016. Hybrid Architecture Research Director, with Lucie Riedweg, Tania Paula Martin, David D. Boisseau (Université Laval) avec Dr Oualid Limam (ENIT). (Eco Farm of Mornag dome development study). Special Guest, International Seminare, Ordre des Architectes de Costantine (CLOA) (Costantine, Algeria). November 2014. JCI, UTICA, Batiment Durable et Innovant seminar (Tunis, Tunisia). November 2014. Intervenant and Moderetor. Architecture Whispers #6. Debate participant; Silencio Club (Paris, France). April 2014. Millenium Theory. Architecture Whispers #3, Debate participant; Silencio Club; (Paris, France). June 2013. Leonardo versus Terminator. AIA Kansas City, The 3rd annual Kansas City Design Week, (Kansas City, Mo.). March 5, 1012. Design Week Lecture serie « current work ». Université Laval, École d’Architecture, “Conférences 2007-2008”, Neurosphères de l’Architecture Numérique, (Québec, Qc). Feb 14, 2008. Hyper Definition. American University of Beirut (Beirut, Libanon) , March 26, 2007. Architectural Resolutions. University of Miami; School of Architecture (Miami, Fl). September 15, 2006. Resolutions for a more Sustainable Environment. Ecole Speciale d’Architecture de Paris, “Les Conférences Printemps” (Paris, France). March 17, 2006. Resolutions for a more Sustainable Environment. American Culture Association, Arch. & Art session (San Antonio, TX). March 2003. The Post Urban City. ASCA West 2002 Central Regional Conference, Univ. of Nebraska (Lincoln, NE). October 18-19, 2002. Trans_connector: (sub) urban paradox, (With Trevor Abblot). School of Architecture and Community Design, Univ. of South Florida (Tampa, Fl). May 22, 2002. Recent Work. ASCA West Central Regional Conference. University of Kansas (Lawrence, KS). Sept 30, 2001: Session moderator. Kansas State University (Manhattan, KS). Sept 29, 2001: ParkUrbia: Suburbia as a National Park. Kansas State University, fall lecture series (Manhattan, KS). August 29, 2001. Recent work. The Pearl, Art Gallery and Event Space (Kansas City, MO). April 2001. Co-curator: Research Architecture 1954-2000: Selections from the FRAC Collection. The University of Texas at Austin (Austin, TX). April 2001. Recent work. Pratt Manhattan in Soho, PUCK building (New York, NY). February 10, 2001. Symposium for Research Architecture 1954-2000: Selections from the FRAC Collection. First panel: Catherine Ingraham, Moderator, Felicity Scott, Marie-Ange Brayer, Pascal Hausermann; Second panel: William Menking, Moderator, Frederic Migayrou, Philippe Barriere, Odile Decq. Intervention: The FRAC Collection or the Search for a Post Classical Identity. University of Detroit, spring lecture series (Mercy, Mi). January 2001. Recent work. Drury University, spring lecture series (Springfield, MO). May 2000. Myth and Denials in Architecture’s Origins. (From Vitruvius, to Filarete’s Original Sin and to Laugier’s Primitive Hut). American Culture Association, Arch. & Art session (New Orleans, La). April 2000. The Tactic of the Other in Architectural Theory. American Culture Association. Arch. & Art session (San Diego, Ca). April 1999. Process-Architecture: Model as ‘Model’. Pratt Institute, fall graduate lecture series (Brooklyn, NY). October 1998. In the Search for an Architectural Contemporary Identity. (From Sameness Towards Otherness). Spencer Art Museum, Hall Center lecture series (Lawrence, KS). February 1998. Part of the Hall Center lecture series: Art & Museums at the End of the Millennium. Lecture 1 included in session II, “Art and Art Museums at the End of the Millennium” and lecture 2 in session III, “New Art Museums at the End of the Millennium”. – Lecture 1: February 17 : Museum as Trophy and Symbol of Death. – Lecture 2: February 24 (With Andrea Norris Dir. of The Spencer Art Museum): From the Getty to the Guggenheim. University of Kansas, School of Architecture, Alpha Rocai lecture series (Lawrence, KS). April 1997. Form and Function, The Old Dream of Symmetry. American Culture Association, Architecture & Art session (San Antonio, TX). March 1997. Form and Function in 19th Century American Architectural Discourse. University of Kansas, School of Architecture, guest lecturer (Lawrence, KS). October 1997. Villa Schwob, 1916 (Le Corbusier). Ecole des Beaux Arts de Paris, guest lecturer, UP1 seminar (Paris, France). June 1997. From ‘Interdiction’ to ‘Permissiveness’, Taboo and Transgression in Architecture. University of Kansas, School of Architecture and Urban Design (Lawrence, KS). April 1996. Le Corbusier Early Work. Drury University, Hammons School of Architecture, fall lecture series (Springfield, MO). Nov.1995. Recent work. Parsons School of Design, Lewis Munford lecture series (New York, NY). April 1993. Lewis Munford lecture series: Redefining the Housing Question. Lecture #3: Housing in Paris in the 1980’s. Université de Montréal, Ecole d’Architecture, fall lecture series (Montréal, Ca). October 1993. Perception and Creation. The University of Texas at Arlington, fall lecture series (Arlington, TX). October 1992. Insubordination in Architecture. (Architecture as Space of Subversion and Emancipation). École des Beaux Arts de Paris, Symposia: Beyond Academicism (Paris, France). June 1992. 2 days symposia, Beyond Academicism, (The Issue of Modernity), with Mack Scogin, Merril Elam, Peter Wilson, Odile Decq, Benoit Cornette, William Menking, Philippe Barriere; Organizer and Moderator. U.E.R d’Art et d’Archéologie, seminar on “Beauty and Grace” (Paris, France). April-May 1991. Lecture 2: May 1991: Part 2: An Analysis of Louis Kahn’s Lectures (Louis Kahn’ s Transcendence). Fondation Le Corbusier, seminar on Le Corbusier’s writing (Paris, France). May 1990. Lecture 2: “Architectural Commotion” in LC Discourse. Université Panthéon Sorbonne, Dissertation public viva voce (Paris, France). January 1986. The Void and the Unsaid in Le Corbusier. (Un Probleme Fond. chez Le Corb. : Le Vide et Le Non Dit). Resolution (Repositioning the Relation Between Man and Nature); pages 276P-310P; A&J Int Printing and Publishing Co., LTD.(HK) with Tianjin University Press. 2010. The book received le “Prix Spéciale” Automne 2010 from the l’École Spéciale d’Architecture de Paris. Bunker Archeology, Paul Virilio, book reprint review, The Architect’s Newspaper (New York, NY). December 2009. Odile Decq, Monograph, A&J Int Printing and Publishing Co.,LTD.(HK). 2006 Essay for the monograph. Jean Marc Ibos and Myrto Vitart, Monograph, Risposti. 2004. Introduction to the monograph. Review, Urban Planning and Architecture Annual 2005, Critical Mass. October 2004. Infrastructure Architecture. Review, Architecture 2003; The Urban Planned. August 2003. Kansas City, Suburban City. Preceding of ASCA West 2002 Reg. Conf., Univ. of Nebraska (Lincoln, NE). Oct 18-19, 2002 Trans_connector: (sub) urban paradox, (With Trevor Abblot). Preceding of ASCA 2001 West Cent. Conf., Kansas State Univ. (Manhattan, KS). Sept 29, 2001. ParkUrbia: Suburbia as a National Park. Discourse, School of Architecture and Urban Design, Student pub., Univ. of Kansas. May 2000. The Tactic of the Other in Architectural Theory/History. Catalog, 101 press, School of Architecture, Studio Publication, essay (pp 22-39). Fall 1999. Parkurbia: Suburbia as a National Park (Paradox of the absurd). Yale Architectural Journal, The MIT Press, Perspecta #28, (pp 126-141). October 1998. Robert Venturi, Denise Scott Brown Interview, (co-authored with Silvia Lavin). Recent Archives, University of Texas at Arlington, essay (pp 57-58). 1994. After Thought. Tadao Ando, l’Architecture du moi, #253. Avril – mai 1993. Judd par lui méme, #251. Novembre – Décembre 1992. La Saga des Musées Guggenheim, # 250. Octobre 1992. Frank Gehry, Vannier, # 249. Août- septembre1992. Architecture de l’Insubordination. Au-delà de l ‘Académisme, # 249. Août-september 1992. Lumières, Couleurs et Réflexions – Steven Holl, # 247. Mars-avril 1992. New York, 60 ème Anniversaire du Style International, # 247. Mars – Avril 1992. Harmonie dans le Paradoxe –Interview de Scott Brown & Venturi (co-authored with Silvia Lavin), #246. Déc 91- Jan. 1992. Louis Kahn; Le Musée, Maison de lumière, #246. Décembre 1991 – Janvier 1992. Musée et Public (Interview de I. M. Pei), #246. Décembre 1991- Janvier 1992. Scogin Elam and Bray, la modernité et aprés? ou l’aprés Modernité, #243. Juin- Juil.1991. Kenneth Frampton, 60 ans de Style International, # 282. Septembre 1992. Verre et Papier Glacé – Interview d’Ezra Stoller, # 276. Août 1991. Entre Imagination Sociale et Architecture – Interview Venturi & Scott Brown, # 273. Fév. 1991. Stanley Saitowitz à San Francisco – Une architecture Tellurique, # 271. Octobre 1990. Scogin, Elam and Bray, cinq projets à Atlanta, # 271. Octobre 1990. Karen van Lengen; projet pour Berlin, # 271. Octobre 1990. Tod William et Billie Tsien – La décence de l’art, une discipline plurielle, # 271., Oct. 1990. Steven Holl – Phénoménologie et architecture, # 271. Octobre 1990. La Galerie J. Nichols donne le ton, # 271. Octobre 1990. Elliot Littmann, Mike Cadwell, Criss Mills, # 271. Octobre 1990. USA, d’Est en Ouest. De la Déconstruction à la Reconstruction, # 271. Octobre 1990. Que devenez-vous, Paul Rudolph, # 263. Juin 1989. Ambasz et Holl au MOMA – Deux architectes du contexte, # 263. Juin 1989. Carlos Jimenez: Houston Fine Art Press, # 263. Juin 1983. The Architects Newspaper, New York, NY, 2003-2009. Architecture d’Aujourd’hui (US correspondent), 1983-1994.